Visit our gallery with +30,000 photos and still growing. All About Eve will run at the Noël Coward Theatre from 2nd February 2019 to 11th May 2019. Tickets are on sale now. 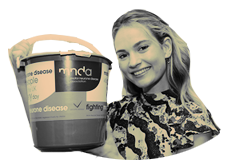 Lily is the patron of the Motor Neurone Disease (MND) Association, the only national charity in England, Wales and Northern Ireland focused on MND care, research and raising awareness. Lily James Online is a non-profit site that is no way affiliated with Lily herself, her management, co-workers or family members. We do not claim ownership of any photos in the gallery, all images are being used under Fair Copyright Law 107 and belong to their rightful owners. All other content and graphics are copyrighted to lily-james.com unless otherwise stated. No Copyright Infringement Intended. If you would like any media removed please contact us before taking legal action. This is merely a fansite run by fans.